You are viewing a list of Janie Haddad Tompkins's 1 appearance on Brooklyn Nine-Nine. When investigating a serial killer, Jake enlists Holt's help in an attempt to solve the case off the radar. 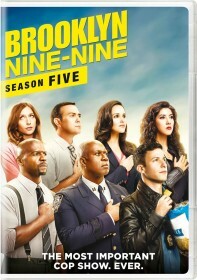 At the precinct, Rosa and Amy are forced to deal with demands from an old adversary and Terry discovers a new obsession.